The Slap effect can be turned on and you can control its volume and sensitivity. 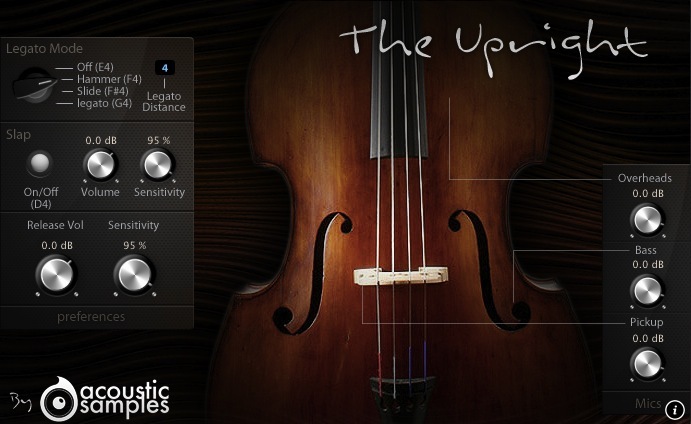 TheUpright was recorded from three microphone perspectives and you can change the volume of each one from the interface. 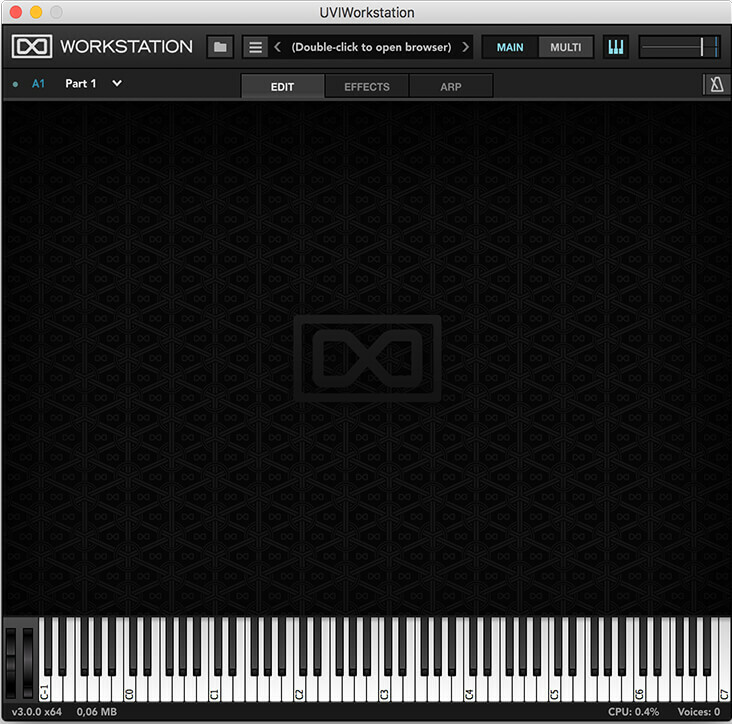 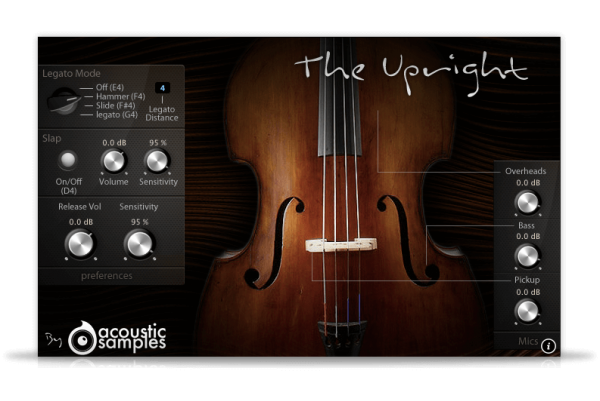 The Upright comes with its own sample player, the UVI Workstation 3 (requires v3.0.0 or later).